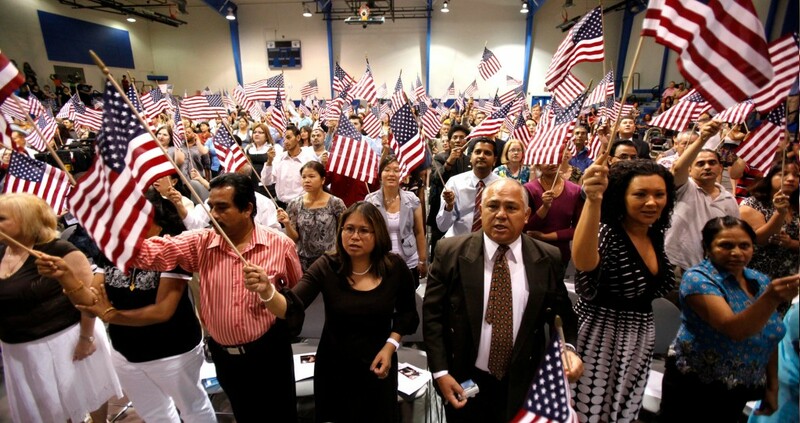 Texas Judge John Primomo told a US Citizenship ceremony this week if they don’t like the future President Trump they should go to another country. A federal judge this week said at a U.S. citizenship ceremony that anyone unhappy with President-elect Donald Trump should go to a different country. “I can assure you that whether you voted for him or you did not vote for him, if you are a citizen of the United States, he is your president,” Judge John Primomo said Thursday, according to KHOU 11 News. At the ceremony in San Antonio, the judge condemned Americans who have protested by holding signs that read “Not my president” in the days since Trump won the election. Primomo, a federal magistrate judge for the United States District Court for the Western District of Texas, also went after the NFL players who take a knee rather than standing during the national anthem at football games. “I detest that, because you can protest things that happen in this country; you have every right to,” he said. “You don’t do that by offending national symbols like the national anthem and the flag of the United States,” Primomo added.